It's a big day for introverts. Well, it's a a big day for this introvert anyway. 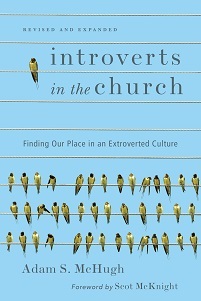 Internet Monk, one of the most popular (and thoughtful) Christian blogs, has written a lengthy review of Introverts in the Church. Patheos has my posted my "The Introvert Brand" article, with a couple of new paragraphs that I wrote for them. And there are a two more "working titles" that I added as well. I'm not on social media during Lent, so I would appreciate any links that you put up on Facebook or Twitter. You can also link to any posts of this blog by clicking on the buttons at the end of each post. Thank you! I'm preaching four times this weekend. 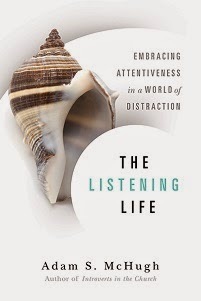 What should I do on Sunday evening to restore my introvert? Last year, my wife and I changed churches, from a small and traditional Presbyterian church to a large and contemporary Presbyterian church. Our new church is one of those churches that took the denomination out of their name, so now it's just Glenkirk Church. Moving from a traditional, hymn-singing, liturgical church to a praise song singing, liturgy-lite church that doesn't have a denomination in its title: I know, Bill Hybels from 1985 called and he wants his idea back. But it's been a great move for us, as we have found a community with great people, excellent preaching, and a missional bent. We will be there for a long time, and I am exploring with the staff how I can be more involved in ministry there. Still, the transition has left me feeling hungry for more liturgy, and I'm left wondering if I will ever find a balance. At the traditional church we left, the worship consisted of old hymns, whose words I love but at times feel overly rational. They engage the mind, but don't always reach the heart; even the way they are laid out in the hymn book requires that your mind is active enough to follow the lines. But the church also allowed for long silences, and slow, meditative prayer. Our new church has an excellent worship band, but contemporary worship tends to engage the emotions and at times bypasses the mind. There is almost no silence in the service, and I think that is intentional. If you've read chapter 9 of my book, you know my thoughts about that. If you look at my bio, you see an eclectic mix of liturgical backgrounds: 1. Evangelical background 2. Mainline seminary 3. Spiritual director training through a Catholic archdiocese. If you read my book, you'll find quotes from Catholics like Rollheiser and Nouwen, Mother Teresa and St. Patrick, mainliners like Barbara Brown Taylor and Will Willimon, and evangelicals like John Stott and J.I. Packer, not to mention classic Reformed figures like Calvin and Edwards. I love the evangelical emphasis on personal relationship with Jesus and mission, I love the mainline emphasis on justice and citizenship in the world as well as in heaven, and I love the way Catholic spirituality emphasizes mystery and speaks about God in a reverent, circumspect way. (I think evangelicals can be far too glib in their speech about God). I feel like I have an arm in one tradition, a foot in another, which means I end up feeling divided a lot of the time. The postmodern/emerging movement is supposed to help people like me integrate these traditions into my spiritual practice, but I haven't actually experienced a church that does this very well. Does anyone else feel this division, this doxological homelessness? Will we always have to pick and choose or is there a way to find integration? But the great Orthodox theologian Alexander Shmemann speaks of a "bright sadness" that is the true message and gift of Lent. Yes, during these weeks we become especially mindful of the sinfulness that alienates us from God, indeed, of the human evil that nailed Jesus to those rough beams. And this we lament with sadness. At the same time, we understand that by his Jesus secured for us forgiveness and eternal life. We are like prisoners whose release draws near or refugees on our way back home or patients for whom the cure is working. Lent is sobering, but it leads to Easter!